When Brooklyn’s Sky Picnic dissolved in late summer 2016, band members Chris Sherman (guitar, vocals, drums, and synths) and Leah Cinnamon (bass, vocals, and percussion) decided to continue on as Hanford Reach. 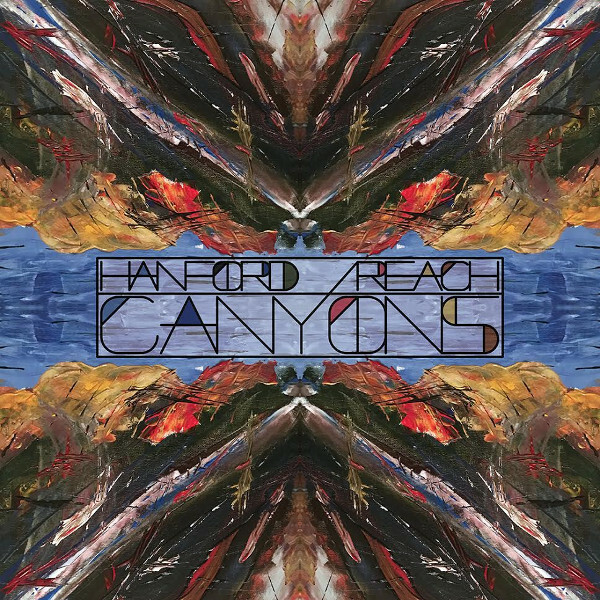 Named for a decommissioned nuclear production facility on the Columbia River that was part of the Manhattan Project, Handford Reach is taking what they learned from Sky Picnic and stretching their sonic tendrils into a hybrid world of psych and introspective shoe-gazing soundscapes. Their debut EP released on March 10, 2017 contains 18 minutes of music spread across four songs: “Shifting Patterns,” “Muted Edge,” “Theatre of Shadows,” and “ Daydream Hues.” “Shifting Patterns” is based on Hungarian / British journalist Arthur Koestler’s writings concerning how we look for patterns in the seemingly random occurrences in everyday life. In contrast is the closer “Daydream Hues” that is about escaping reality and looking to center one’s psyche. In between are trippy echoed strummed guitars, distorted feedback, funky bass, and dreamy subliminal voices that sooth the soul. Hanford Reach is in a category by themselves, with a bit of similarity to Seattle’s Sky Cries Mary.